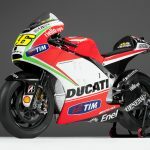 With the 2011 MotoGP season not going as successfully as hoped, Ducati is introducing a number of significant updates to its Desmosedici racebike including features originally intended for the 2012 version. 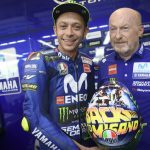 Valentino Rossi, whose much heralded union with Ducati has produced just a single podium finish in six races, will be the first to race on the updated Desmosedici, dubbed the GP11.1. 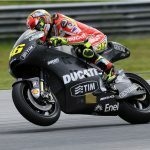 Rossi will ride the GP11.1 at the upcoming Assen. 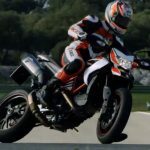 His teammate Nicky Hayden however won’t switch to the GP11.1 until the Laguna Seca round, July 22-24 as he has already gone through four engines this season and the GP11.1 would be his fifth of his allotted six engines with more than half the season to go. 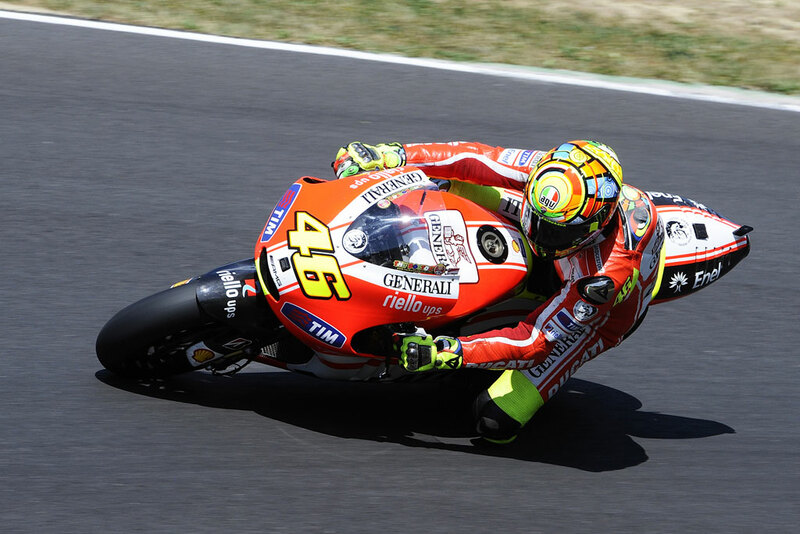 The GP11.1 uses the chassis being developed for the 2012 season while the new gearbox, the “Ducati Seamless Transmission”, is Ducati’s response to Honda‘s transmission system that Casey Stoner, Andrea Dovizioso and Dani Pedrosa have been using to great effect. As the name implies, the DST promises “seamless” shifting. Honda has been using a new transmission system all season that allows for significantly faster gear changes. The Ducati Marlboro Team, continuing its development process with the Desmosedici, will introduce a variety of new updates at Assen. Valentino Rossi will take to the track with the next generation of the bike, called the GP11.1. The design process for this bike began after the Sepang tests, with construction beginning after the riders approved the GP12’s chassis during its first test, at Jerez. 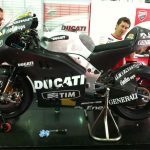 For the GP11.1, the Corse Department prepared an 800cc engine that installs in the chassis that Ducati engineers are developing for 2012. The bike will also use a new gearbox, the “DST- Ducati Seamless Transmission”, the design process for which began in 2010.